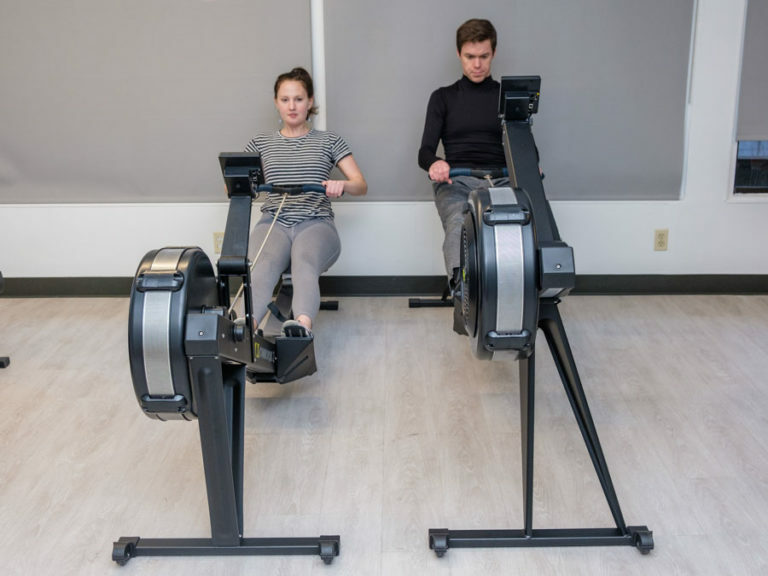 A rowing machine unites low-impact cardio and strength training; this unique blend of aerobic and anaerobic is best accomplished by air or water resistance. These elements’ response to external force is only as powerful as that force, requiring you to recalibrate effort with every row. Fitness expert and author of 25 Days, Drew Logan, explained that generating your own momentum "gives a more intense workout that results in ‘zig-zag metabolism.’” Those bursts of energy that start every stroke increase the calorie burn and keep it up, even after your workout ends. There are two other types of resistance available: hydraulic and magnetic. While they're typically cheaper, neither allows for rowing's greatest fitness benefits by separating intensity from effort. The experts we consulted came down hard on the importance of working against self-driven resistance. Most models we tested offered first-class rowing, but testers found some machines, like the Slider Dynamic, didn't provide the best experience. This one had too many points of motion for our comfort. Seat: A molded, cushioned seat makes long rowing sessions bearable. Handles: They should be easy-to-grip and shaped so that it’s easy to keep a natural elbow height through the stroke. Foot pedals and straps: Foot pads with visible pegs for adjustments are preferable to adjustment devices that require blind guessing. And we wanted separate belts for each foot, rather than a single strap that requires users to figure out how much slack they’ll need for both feet at once. Easy resistance adjustments: This is primarily a factor for air resistance. Air rowers feature practically identical rotating levers that can be moved with a finger. 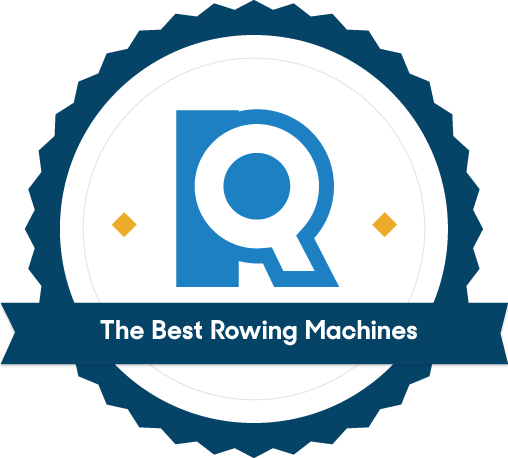 For water rowers, it’s rare to find a machine that varies resistance without hauling out a bucket. The only piece of technology on air or water rower — the monitor — helps you track your power output. We looked for monitors that provide a full gamut of useful metrics, like strokes per minute and 500m time, on an easy-to-read display with sharp contrast, crisp numbers, and well-spaced characters. L: Top pick Concept 2’s clear display. R: First Degree Fitness’s blockier take. A rowing machine’s streamlined design should require minimal upkeep, but we also wanted a warranty long enough for any manufacturing flaws to come to light — a minimum two years for parts. Anything shorter than that would make us question the quality of the construction. A rowing machine makes a great talking piece, but we’re guessing you won’t always want it front and center. We looked for rowing machines that can either be stored vertically or separated into two pieces with ease. Two top picks stood out from the field of six we tested. 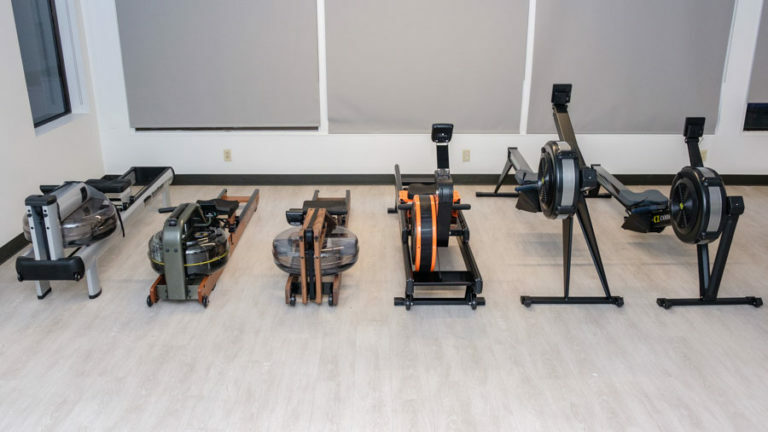 The Concept 2 D is the best-selling rowing machine in the world for a reason. 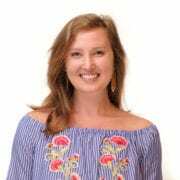 With the backing of two renowned trainers, plus a member of the 2016 U.S. Olympic rowing team, it's clearly earned its stripes in the rowing world. 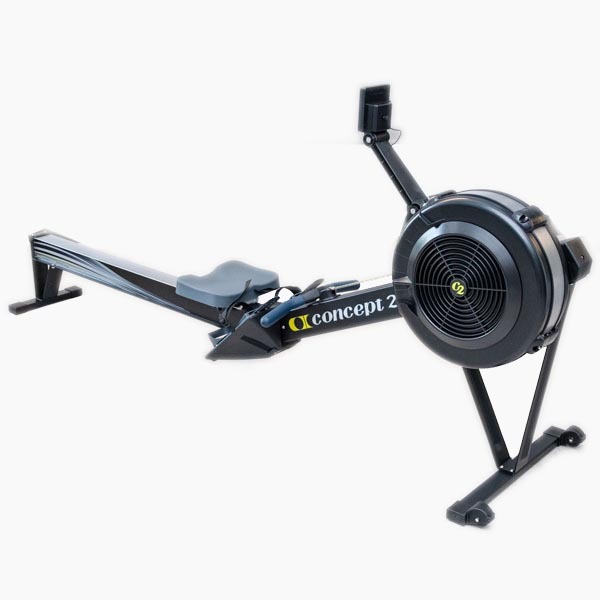 The Concept 2’s simple specs belie a ride that’s both impactful and somehow effortless. The smooth, almost silent row is made possible by a polished track and consistently taut chain. 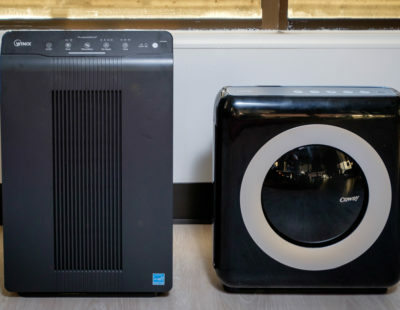 The fan creates noticeable wind, but even at high speeds the sound is as easy to tune out as air conditioning or white noise. The foot pedals adjust to numbered levels with easy snap positioning, making it easy to know your ideal foot position and get back to it quickly, in case someone else has changed the position. And predictable resistance levels mean you can accurately match your workouts to online fitness programs, and chart your progress in a translatable way. It’s simple to adjust the C2 to fit your body. If you do experience any issues in the first two years, though, all parts are covered with Concept 2’s warranty. And if any frame parts fail “due to a defect in materials or workmanship,” that’s covered for the first five years. The model E sits higher off the ground, making it slightly easier to mount and dismount. WaterRowers couple the density of liquid resistance with comfortable dimensions and a slick sliding seat; together these help the user fall into a soothing rowing cadence. The WaterRower Classic made us feel both relaxed and accomplished: You’re not just getting a workout, you’re moving a boat through still waters. The Classic’s nylon cord moves quickly with each drive and recovery. The ride feel on the WaterRower Classic and the larger, commercial-grade M1 HiRise are effectively equal. We found that the Classic, whose all-wood body is the manufacturer’s signature, offers the best of water resistance for the best price ($300 less than the HiRise and the most modestly priced of all the wood models we considered). 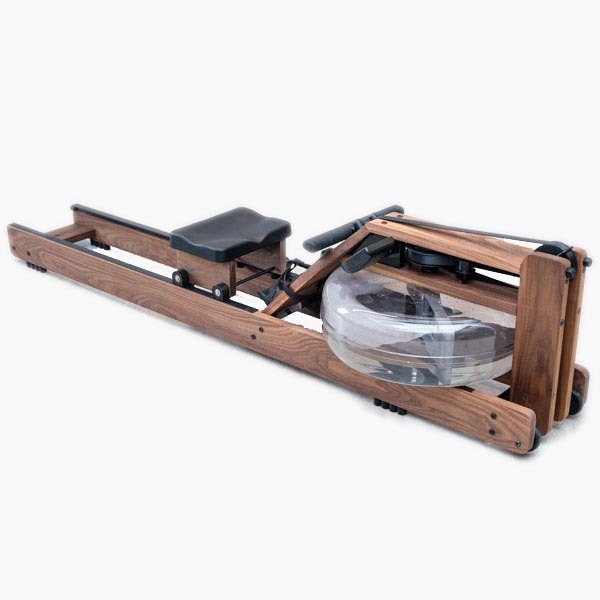 There’s no denying that part of what charmed us with the WaterRower is its classic, dark wood appearance. It’s a sleek design that we’d be happy to keep front-and-center in a home gym. Adjusting the water level is difficult: Balance the bucket above the water tank, insert the included siphon pump into the opening, and squeeze the empty chamber like a stress ball, depositing a half cup or so at a time. 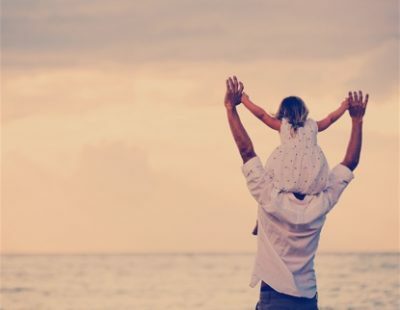 We’re grateful that, thanks to water purification tablets, you only need to change the water every 6 months. A safe and effective rowing workout demands a quality machine; any structural tweaks that make it cheaper also make it unsound. If spending $1,000 is outside your price range, your best bet may be going with a different kind of machine. There are great cheap ellipticals and exercise bikes that can provide good workouts at a more manageable price. 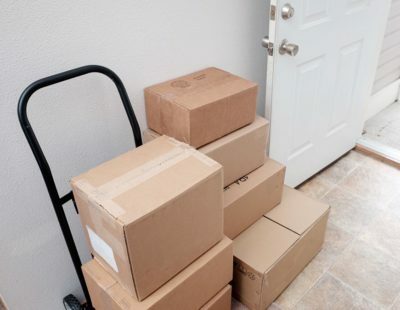 Where will you store your rowing machine when you aren't using it? If the answer is a closet, you’ll probably want one that stores vertically. If you’re leaving it out in the open, our WaterRower pick is an especially attractive option that you won’t mind guests seeing. 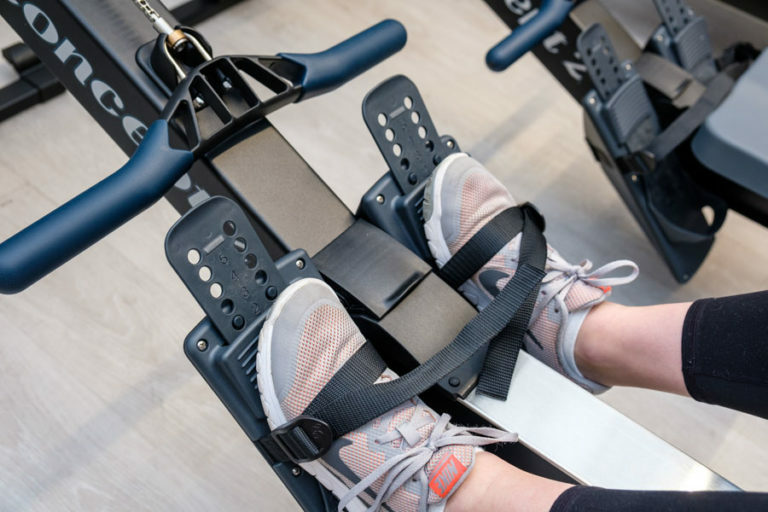 Before you start in on your new machine, be sure you know how to row safely. Coach Greg Hughes recommends the training videos made by Concept 2 as well as one featuring a pair of Olympic rowers (filmed on his own turf — the Princeton boathouse). An ergometer is technically an instrument for measuring work or energy. It’s also what outdoor rowers call indoor rowing machines. Because rowers use ergs as a standardized method of measuring athletic ability, the name is pretty literal. What’s the proper rowing technique? How do I know if I’m rowing right? Can I compete on my indoor rower?